No matter what your profession, if you want to be the best, you have to be a “Knowledge Leader”. Knowledge is the most powerful tool contractors, architects, and design professionals have in their belt, but without proper maintenance knowledge will rust and become dull just like any other piece of equipment. But who has time to commute and sit in a classroom, and who wants to learn about topics that don’t pertain to them? Online continuing education puts the power of learning in the student’s hands, and gives learning more freedom than ever before. It allows professionals to learn about topics they choose, at their convenience, without commuting, and at a lower cost. You can register and attend online courses whenever it’s convenient, giving you the freedom to pause the course to catch the end of the game, pick up the kids, or run to the store. Choosing Courses That Interest You – Instead of being forced to sit through whatever topic your local educator happens to be lecturing on, you the learner can choose only topics that interest you. More Comfortable Learning Environment – Completing your continuing education from the comfort of your couch or favorite easy chair is simpler than ever. Lower Cost – Online courses cost considerably less than classroom courses. Certified Training Institute does not share any personal information with any outside parties, companies, or manufacturers. Control the Flow of Information – Online Courses allow you to control the speed of the class, when to move on, and what sections of the course to focus on. You will never feel left behind in class again. No cost of Commute – Gas is expensive! Your time is valuable. Save time and money by not traveling to and from the classroom. Start Immediately – You can start you course whenever you choose, even at 3:00 am. Online Courses are Often Designed to Meet Continuing Education Requirements – The hassle of making sure all of your requirements are met is a thing of the past. Online educators often offer packages to fulfill your exact requirements. Many states must first approve the course before it can be offered online. Certified Training Institute will keep track of your certificates and let you know when it’s time to renew. Review Anytime – Course content is generally saved for later review at the student’s convenience, and is available anytime. More Interaction – Often online courses allow you to ask questions directly to the instructor. Help is usually just a live chat or phone call away. Better Concentration – Easier to stay focused! While sitting through hour after hour in a classroom at perfect attention can be dang near impossible, online courses let you come and go as you please. Most online courses break up learning into 20-30 minute segments that are much easier to swallow. Courses are Self-Contained – Classroom courses often allow the instructor to reference material that is not immediately available to the student, while online courses have all the information right there for you to explore at will. 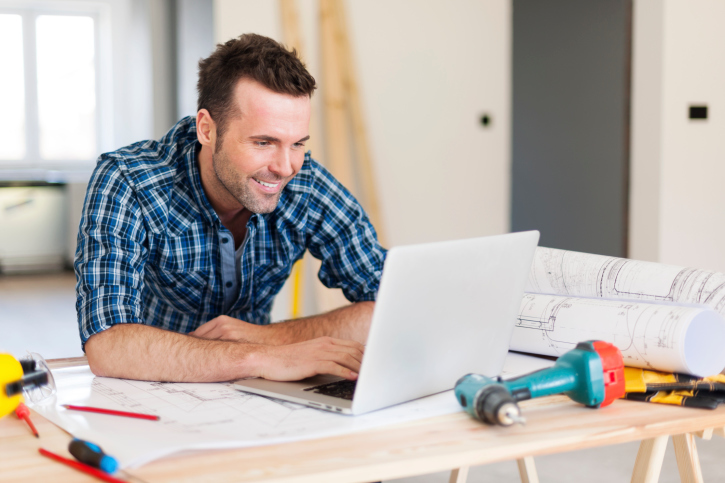 If you are curious about taking online construction courses for continuing education, or you want to prepare for a licensing exam, contact Certified Training Institute. As a leading online education provider for the construction industry, we are dedicated to the success of our students. Use this exclusive discount code BP10 during checkout to get $10 off your next course. Leave us a comment or question about your continuing education experience. We love to hear from you.